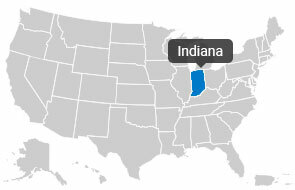 With a total land area of 35, 867 square miles Indiana is one of the largest industrial centers in the United States. Indiana is home to the 41-mile Lake Michigan waterfront which is one of the world’s greatest industrial centers. They provide iron, steel and oil products that are all contributors to the state’s income. Other products produces in Indiana include automobile parts and accessories, mobile phones, recreational vehicles, bus and truck bodies, farm machinery, aircraft engines, and structural steel. And of course, Indiana also has furniture and pharmaceutical products. So you see, if you’re looking for a thriving economy with a lot of opportunities, Indiana is definitely the place to be. But before you start packing for your Indiana move, you have to know the essentials. Everything starts with choosing the best moving company. 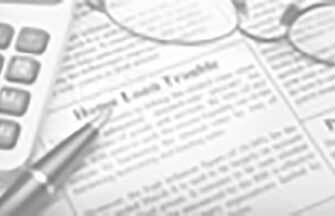 As a precaution, make sure that you’re getting quotations from at least three different companies. Don’t just hire the first ones you talk to. In order to find the best movers, you need to make comparisons. You want a moving company that’s accredited with the American Moving and Storage Association (AMSA) and the Federal Motor Carrier Safety Association (FMCSA). It’s also a good idea to check with the Better Business Bureau to verify if your contenders have good customer feedback. To ensure their professionalism, the company’s trucks should have signs and logos in them. Unmarked trucks could be a sign that they just rented it out and don’t really own them. You also want a company that is clear when it comes to their charges. You can opt for a binding statement which will not change regardless of the situation but make sure that they’ll show you a breakdown of the costs. You should also try checking if they have functional contact numbers and an actual office. If all that you ever get is an automated answering machine, you should be cautious. Good movers should provide people who will address your concerns. Now that you know what to look for in Indiana movers, you’re probably wondering what to do next. Well wonder no further because Top Mover Quotes is here to assist you! Top Mover Quotes is the leading source of online moving quotes and we’ve been helping out customers like you for several years now. Thanks to our vast contacts in the moving industry, finding you legitimate and reputable movers is a piece of cake. Contact us today to try our FREE services! Established in 1969 A family owned business we specialize in residential moves but have a long history working with various local, state, and federal agencies. Our commercial experience is just as extensive working with a number of well known chicago businesses, museums, public & private schools and everything else in between.It is an honor and privilege to continue serving the great state of Illinois as a second generation moving and self storage company. Meet the Manager: Derrick S.
Serious about moving, has fun with everything else! We are available to provide the following services:-Local and Long Distance Moving-Full Packing and Unpacking-Ala Carte' Moving Services (i.e. moving of single items, moving of self-packed items)-Short Term or Long Term Storage in our Secure Storage FacilityWe also can assist Realtors with their listings by providing de-cluttering services or assistance in staging. This can be conducted by moving furniture within the home, storing excess furniture in our secure warehouse or disposing unwanted furniture. Established in 2001 We created First Class Moving & Storage, Inc. to provide customers with the most stress-free moving experience in the industry. We started started out of a small office and have grown into a full service moving and storage company with a 27,000 SF secure and heated warehouse in Northbrook. Our business ideals have led us to become an A+ rated company with the Better Business Bureau. We are also members of the American Moving and Storage Association. Our ILCC MC number is 130447. Our ICC MC number is 421937. We are a relocation company that provides moving services to residential and commercial customers in the Chicago area. We know that moving requires knowledge, experience, efficiency, and a caring attitude. We always strive to satisfy our customers and make their move a pleasant experience.In addition, we have a $1 Million public liability insurance coverage policy. We are also a State of Illinois Certified Licensed Mover (ILCC 173508MC). Moving in Chicago can be one of the most stressful events in your life. However, by choosing A A Ampol Movers, your moving experience will be smooth and actually exciting. One call to us will take care of all of your moving needs. No surprises, hidden charges or insane rates. Our friendly staff is here to literally, take the load off your back onto ours. Whether you are moving to or from a studio, apartment, condominium, loft, townhouse or a single family home, A A Ampol Movers, has the experience to get it done efficiently and with utmost care. We are residential specialists, however, we also move businesses, offices and commercial institutions. We can: *Load or unload your rental truck. *Move furniture around inside your home. *Deliver items that did not fit inside you car. *Dispose of your old furniture.These are just some of the services we provide. If you need something else, give us a ring and we'll take care of it! Established in 2004 We are a licensed and insured moving company in the State of Illinois. Our employees are full-time professional movers; we do not use contractors or day-labor. A A Ampol Movers, was founded in 2004 and has been providing low cost, quality moving service to residents in the Chicago area. Thousands of satisfied customers refer us to their friends and family members, because they know that we are dependable, reliable and professional. Besides, how can you go wrong with our starting rate of $65/hr for two movers! Meet the Business Owner: Marcin C.
I have been associated with the moving industry since I was 17 years old. I have the knowledge and expertise to help you move. DJ Moving & Storage has Professionally Trained Relocation Staff in Packing and Handling of your Household items large or small. We also have a Warehouse for any type storage you may need.